Last month, we visited the island of Oahu in our 50th state: Hawaii. As we saw last month, the wide choice of public transportation combined with a walkable city (Honolulu) make it easy to enjoy a visit without needing to rent a car. But Hawaii is more than just Oahu. Three other Hawaiian islands have public bus systems that make it possible to visit without needing to rent a car: Maui, Kauai, and the island of Hawaii. However, in these islands, the bus systems are primarily designed for local residents to commute to and from work, and sometimes use for recreation. Many tourist attractions are not served. For this reason, enjoying a visit to any of these islands requires a different strategy. First: do not take a local bus to and from the airport. On two of the islands (Maui and Kauai), bus riders are limited to one carry-on bag. On the island of Hawaii, the time required to get to a destination from the airport can take much longer than many of us would like. Instead, take a taxi or (for a lower cost) take a shuttle that goes to your hotel or town where you will be staying. While the cost is higher than a local bus, you can bring your entire luggage with you and enjoy a reasonably quick trip to your destination. Third: accept the reality that many state and national parks and other major attractions and activities are difficult or impossible to reach by public transportation. The solution: find a local tour company and go on one or more of its tours. I want to thank the Hawaii Tourism Authority and its website: www.gohawaii.com, for most of the information included in this column. Consider a Cruise to Hawaii or between the islands of Hawaii: Many cruise lines stop in Hawaii. Below is a list of several cruises that stop in Hawaii: http://www.cruisecritic.com/cruiseto/cruiseitineraries.cfm?port=131. Another great option for visitors interested in traveling without renting a car is an inter-island Hawaiian Cruise, which stops at multiple islands. Let’s continue our Car Free Journey by briefly visiting three Hawaiian Islands that have public transportation: Maui, Kauai, and the island of Hawaii. Known as the “Valley Isle,” Maui is dotted with quaint towns, artist communities and local favorites that have been around for generations. Head to Wailuku for pastries from a “mom and pop” bakery, or head to Lahaina for a taste of Maui’s famed farm to table cuisine. Maui was voted the “Best Island” by the readers of Conde Nast Traveler for more than twenty years. Getting Here: Kahului Airport (OGG) is Maui’s main airport. There are two smaller commuter airports as well: Kampala Airport (JHM) in West Maui and Hana Airport (HNM) in East Maui. Many airlines offer non-stop flights direct to Maui. You may also fly into Honolulu International Airport (HNL) on Oahu before heading to Maui on a short, 30-minute flight. There is daily ferry service to the nearby island of Lanai. Once you arrive at Kahului Airport, take the Airport Shuttle (one-way fares start at $10 per person one way, and $20 per person round trip) to your hotel. For details and reservations, go to https://www.airportshuttlehawaii.com/shuttles/maui/, or call (808) 539-9400 (7:00 a.m. to 9:00 p.m. Hawaii time, daily. The Maui Bus, the island’s public bus system, operates daily and serves nearly all towns on the island. The one-way fare is $2. However, the best value is a $4 daily pass. For information about schedules and fares, visit http://www.co.maui.hi.us/609/Maui-Bus-Public-Transit-System, or call (808) 871-6226. #10: Known as the Kihei Islander, this bus stops at Kamaole Beach III. #15: Known as the Kihei Villager, this bus stops at the Maui Ocean Center Aquarium: the Aquarium of Hawaii (www.mauioceancenter.com. or call (808) 427-0827). You can see reviews of the Ocean Center at https://www.yelp.com/biz/maui-ocean-center-wailuku-3. #10 (Kihei Islander) and #30 (Napili Islander) go to many beaches. #35: Known as the Haiku Islander, a ride on the 35 gives you an enjoyable trip along the ocean. Other good towns to stay, if you don’t have a car, include Lahaina, Wailea, Kihei , and the Ka’anapali resort area. From Kihei, it is possible to walk to shopping and beaches. From many Lahaina area hotels, the Shopping Shuttle ($3 per one-way trip) travels to the Outlets of Maui in downtown Lahaina. For details, go to http://www.outletsofmaui.com/visitor-information/ (see the bottom of the page.) Walk along Front St. in downtown Lahaina and explore many stores and restaurants. To find beaches in Maui, go to the following web site: http://www.gohawaii.com/maui/guidebook/topics/beaches-of-maui/. You can also take Island Air and Hawaiian Airlines from Honolulu. Baggage Inquiries: 1-866-666-6224; TTY: 1-877-952-0100. Kauai bus staff members recommend staying in Kapaa. Shopping is within walking distance, and beaches are nearby. The Hotel Coral Reef in Kapaa has received many positive reviews that are posted on Trip Advisor (https://www.tripadvisor.com/Hotel_Review-g60616-d87214-Reviews-s1-Hotel_Coral_Reef-Kapaa_Kauai_Hawaii.html). This beachfront hotel is within blocks of Kapaa town shops and restaurants. The Kauai Bus’ Route 400 (southbound) and 500 (northbound) go through here. The Kauai Museum is approximately a 45 minute bus ride away on the 500 (going there) and 400 (returning to Kauai). (Please note that these bus numbers could change, so check with the Kauai Bus: go to http://www.kauai.gov/bus or call (808) 246-8110. For accommodations on Kauai, go to http://www.gohawaii.com/kauai/plan-a-trip/accommodations/. The Kauai Bus provides daily service (Monday-Sunday) to many communities on Kauai, from Kekaha to Hanalei. The cost is $2 for a single ride ($1 for senior citizens or young people 17 and younger), or $40. For a monthly pass (good for a calendar month only). If you are staying for several days, the monthly pass may be worth considering. You can buy a monthly pass at the Kekahi, Kapahi or Kilauea Food Marts, or at the main Kauai Bus office. (A rental car could easily cost $40 or more daily.) For more information about bus schedules and fares, go to http://www.kauai.gov/bus or call (808) 246-8110. For a list of attractions in Kauai, visit: http://www.gohawaii.com/kauai/plan-a-trip/activities/attractions/. 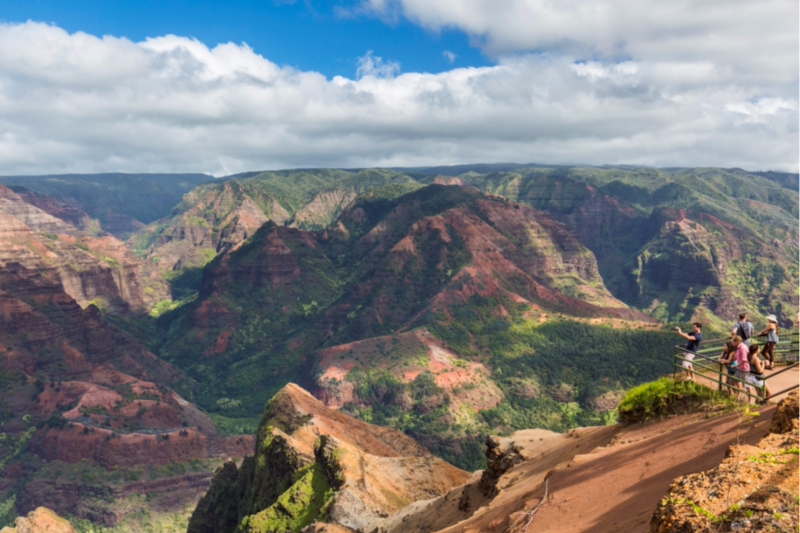 The Kauai Visitors Bureau has these suggestions: When it comes to short stays on Kauai, your schedule will depend greatly on where you’ll be staying. Wherever you stay you’ll be close to one of Kauai’s incredible beaches. A visit to Kauai’s small towns will also give you a taste of the island’s culture, from Hanalei Town in the north to Old Koloa Town in the south and Hanapepe Town to the southwest. You may be able squeeze in seeing a waterfall like the easily accessible Opaekaa Falls or a natural attraction like Spouting Horn on your travels. More itinerary recommendations can be found here: http://www.gohawaii.com/kauai/guidebook/itineraries/. You can go beyond doing what “everyone does.” Instead, consider your interests and check out what is available to satisfy them. On Kauai, go to http://www.gohawaii.com/kauai/experiences/. Go to www.goHawaii.com/kauai, You can also call either the toll-free phone number: (800) 262-1400 or the local number: (808) 245-3971, or visit the Kauai Visitors Bureau at 4334 Rice St. #101 in Lihue. Think big. The island of Hawaii is the youngest and largest island in the Hawaiian chain, but it’s remarkable for more than just its size. Visit Kilauea: one of the most active volcanoes in the world, or talk story with a cultural demonstrator at Pu’uhonua o Honaunau, a historic park that was once a place of refuge. 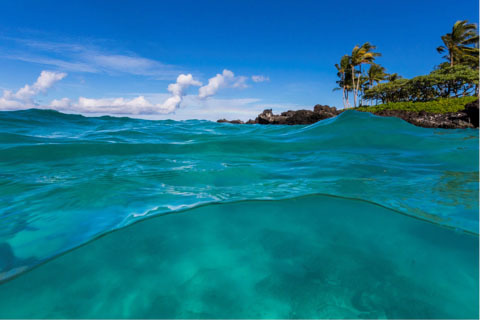 Whether you’re walking on a black sand beach, snorkeling with manta rays, horseback riding in Waimea or sailing along the Kona Coast, Hawaii, the Big Island is your island for adventure. Which Side of Hawaii Should You Visit? The Island of Hawaii has two distinct regions. The west/leeward side of Hawaii has less rain and is the more popular region for most travelers, primarily because of its beautiful beaches. Kona is the main town here. Kona Airport is the more popular of the island’s two airports, and more flights stop there. If you don’t have a car, your best choice is to stay at a Kona hotel served by the Kona Trolley ($2 per ride), and take the Trolley to a nearby beach. For the Trolley’s schedule and a list of hotels where the trolley stops, go to http://www.sheratonkona.com/pdf/2016%20Trolley-Schedule.pdf. The east/windward side of the island (the main town here is Hilo) has more rain, and less popular beaches. Botanic Gardens, hiking, sightseeing, and exploring small towns are reasons to visit. In general, the Hawaii Travel Bureau recommends flying into Kona Airport and spending a few days in Kona enjoying the beach. Then, take one of the free local buses from Kona across the island to Hilo (the trip takes 3-4 hours). 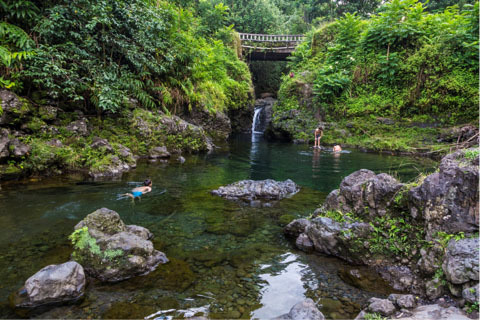 In Hilo, visit the Botanical Gardens, explore the city, and spend some time hiking. If you are here on a Tuesday, take Keikana Tours’ Hoppa On Hoppa Off bus tour of Hilo. With unlimited on and off privileges, this is a great way to explore the city. For details, visit http://www.hop-onhop-offhilobus.com/. Then, return home from Hilo Airport. Delta Air Lines: (800) 221-1212, www.delta.com–Nonstop service between KOA and LAX, SEA. Speedi Shuttle operates airport shuttle service at KOA and other airports throughout the state of Hawaii. Fares to Kona hotels start at $14 per person, based on 2 riders sharing the ride. Be sure to ask about rates for solo travelers. For details, go to http://speedishuttle.com/. Local bus service is provided by the Hawaii County Mass Transit Agency’s Hele-On Bus. One-way fares are $2 ($1 for seniors age 60 and over, students 17 and younger, and persons with disabilities). Service is generally Monday-Saturday, and many routes have only limited service. A Kona-Hila route operates 2-3 times each day (except Sundays and holidays). A 10-ticket book for $15 ($7.50 for seniors, students, and persons with disabilities) can be ordered by downloading an online order form. Frequent bus users can purchase a monthly pass for $60 ($45 for seniors, students, and persons with disabilities). For information about where to purchase 10-ticket books, monthly passes, and shared-taxi coupons, go to http://www.heleonbus.org/hele-on-fares. For information about Hele-On schedules and fares, go to http://www.heleonbus.org/, or call (808) 961-8744 from 7:45 a.m. until 4:30 p.m. Monday-Friday, Hawaii time. Because of the limited frequency of most bus routes, we recommend using Hele-On buses as just one of your resources. Walk; use shared taxi service, and trolley and shuttle service. Tour operators can take you to many attractions that can otherwise be reached only by car. The Hawaii Visitors Bureau recommends Historic Kailua Village, located just 15 minutes south f Kona International Airport. The area is a destination for affordable accommodations, shopping, dining, and cultural education. Here are their suggestions for exploring this village: Stroll down the main road of Alii Drive and you’ll find a variety of shops and restaurants. But look closer and you’ll also discover some very important Hawaii Island historic spots. Hulihee Palace and the Mokuaikaua Church are both located right on Alii Drive. King Kamehameha I spent his later years living near the current site of King Kamehameha’s Kona Beach Hotel until his passing in 1819. The Ahuena Heiau, located on the grounds of the hotel, is a reconstructed temple rebuilt by Kamehameha himself and is on the register of National Historic Landmarks. Kailua Pier is a great place to watch the sunset and is also the starting and finishing point of the Ironman World Championship (October). For Trolley schedules, go to http://www.sheratonkona.com/pdf/2016%20Trolley-Schedule.pdf. Now, it’s time to explore the east/windward side of the island of Hawaii. The most affordable way to travel from Kona to Hilo is by taking the Hele-On Bus’ Kona-Hilo route. For schedules, go to http://www.heleonbus.org/schedules-and-maps/kona-hilo-bus-schedule. Check to see if that bus stops at or near your hotel. If not, all three trips stop at K Mart. Hilo and the rest of the east/windward side of Hawaii is a contrast from the beaches on the west (Kona) side. There is much more rain, and many neighborhoods and attractions to explore. Hilo is well-known for black sand beaches, but white sand can also be found at a few spots on this side of the island. To see what other travelers think about Hilo and the rest of the island of Hawaii, go to http://www.fodors.com/community/united-states/east-side-of-big-island.cfm. According to the Hawaii Visitors Bureau, “On the island of Hawaii, the best area for visitors without rental cars to stay is near Downtown Hilo which offers a variety of activities within walking distance. Hilo is also the gateway to Hawaii Volcanoes National Park. Additional information in Hilo can be found at http://www.gohawaii.com/big-island/regions-neighborhoods/hilo/downtown-hilo/. A list of accommodations in Hilo can be found here: http://www.gohawaii.com/search/vacation-directory/?count=13&randomSkip=3&skip=0&sort=distance&keyword=hilo&islands%5B0%5D=683&accommodations=true. For information about attractions and activities, go to http://www.gohawaii.com/big-island/plan-a-trip/activities/attractions/. The major attraction on this side of the island is Hawaii Volcanoes National Park. Unfortunately, you need either a car or an organized tour to explore the park. However, there is a lot to see in and near Hilo. Nearby you’ll find a variety of off-the-beaten-path discoveries. Visit the Puna area to find charming restaurants shops and amazing sights like Lava Trees State Park. You’ll also find even more interesting attractions like the Panaewa Rainforest Zoo, Mauna Loa Macadamia Nut Factory and Akatsuka Orchid Gardens. An affordable way to travel around Hilo is the Hele-On Bus Shared Taxi program, which is available 24 hours every day in the Hilo urbanized area. For details, go to http://www.heleonbus.org/shared-ride-taxi-program-1. A great way to see Hilo is on Keikana Tours’ Hoppa On Hoppa Off bus. For $20, you can see the major sights of Hilo, and enjoy unlimited on and off privileges. However, these tours are only offered on days when cruise ships stop at Hilo. Fortunately, they are available nearly every Tuesday. For details and reservations, go to http://www.hop-onhop-offhilobus.com/ or call (808) 895-4188. To learn about attractions and activities that match your interests, go to: http://www.gohawaii.com/big-island/experiences/. The best way to get to this airport is on the Hele-On Bus’ Intra Hilo-Kaukaha route. Buses stop at the airport 8 times daily, Monday-Saturday. Buses stop at the airport beginning at 8:00 a.m., and then running at 80-minute intervals (1 hour and 20 minutes) until 5:20 p.m. (last bus). If you need to reach the airport on Sundays or evenings, the only ground transportation are taxis. A visitor information staff member at the airport estimates that a taxi costs approximately $14-$16 to reach several hotels near downtown Hilo. For information about where to stay and what to do, contact the Island of Hawaii Visitors’ Bureau. Their website is http://www.gohawaii.com/big-island/. The phone number is (808) 885-1655. For information about public bus service on the island of Hawaii, contact Hele-On Bus. Its website is http://www.heleonbus.org/, The phone number is (808) 961-8744 (7:45 a.m. until 4:30 p.m. Monday-Friday, Hawaii time). Steve Atlas, author of two published books about parenting, has written newspaper columns and magazine articles about travel, career change, home-based business, parenting, and sales skills. 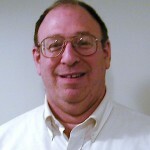 Steve's column, “Single Parent Hotline,” was a weekly feature of Gannett News Service for several years. He has also been a contributing editor to Selling Power magazine. Currently Steve’s primary interest is reducing dependency on private automobiles. In addition to being a public transit advocate and author (since 2008) of Car Free Journey, Steve’s e-book: "Car Free at the Beach", and several reports he has written about Car Free Living can be viewed at www.pubtrantravel.com.